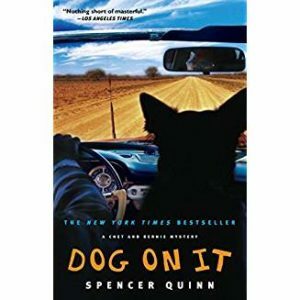 Another friend recommended this book and I agree it’s a hoot, er, uh, bark. We listened to a Chet and Bernie book once in a drive to the cabin trip. Good for audio listening although the “barking” can get a little irritating. Enjoying dog company is essential, I think, to liking this series. Would get another for a car trip but I don’t think I would “read” one. Ha ha … a rare book that may not translate that well to audio, eh? Perhaps I wasn’t clear – I think this did better as an audio book. I think the “Bark” translations wouldn’t go as well in reading the book.